Before I'd turned the first page of this book, I have to confess to being skeptical. It was written by the great granddaughter of one of the main characters. A story of her family. Sometimes these books are written with the best of intentions but little writing talent. Not this book. Lalita Tademy has taken the lives of her ancestors and created a heart wrenching and moving tale. Suzette, a slave to Creole masters, has ambitions of marriage to a free coloured boy. Instead she bears two children to a French man. A man who she neither loves or wants. Her daughter Philomene, marries Clement, a slave from a neighbouring plantation, but is separated from him. Their daughter Emily, forms a loving relationship with a white man. The Civil War set these people free, but the colour of their skin ensured entrapment of a different sort. 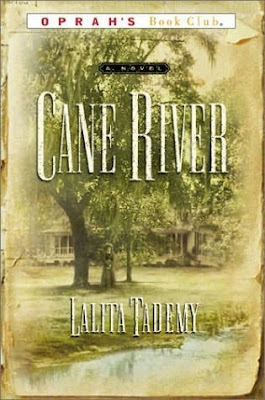 Spanning over 50 years in the later half of the 1800s and set in Louisianna, this novel tells a powerful story of the strength of the human spirit. The excerpt below is the closing words of the priest at the marriage of Philomene and Clement. "I then, with the consent of your masters and mistresses, do declare that you have license given you to be familiar together as husband and wife, so long as God shall continue your places of abode ... as long as you shall behave yourselves as it becomes servants to do ... you remain still, ... your master's property." For me, these words capture the total absence of personal freedom these people endured. My comment doesn't want to download here so hopefully it will work this time. I had always wanted to read this book, but at the time I had read so many similar books. It's on my tbr pile, though. Joanne - I agree there are many books like this, but this one is different. More emphasis on the emotional hardship than the physical and ultimately more positive. When you finally get to read it I'd be interested to know what you think.